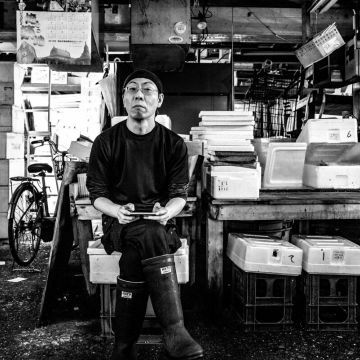 From the 22nd of February to the 5th of May, the Museum of Oriental Art “Edoardo Chiossone” of Genoa, hosts “Tokyo Tsukiji”, a photographic reportage by the great Nicola Tanzini that shows the inside of the largest fish market of the world. 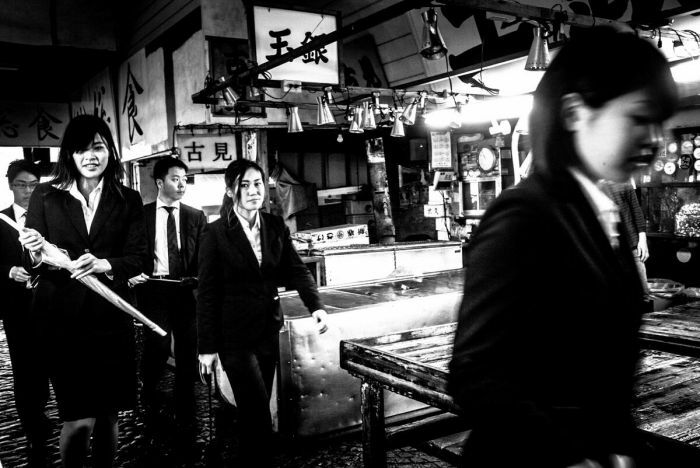 The exhibition, cured by Aurora Canepari - who is also the director of the Museum – and by Benedetta Donato - curator of the publishing plan - , is made of 28 photographs that seem to constitute a real tale made of pictures of one of the most iconic places in the Japanese capital, which became a famous touristic attraction in Tokyo, but that unfortunately nowadays is no longer open to the public due to a government decision about the Olympic Games of 2020. 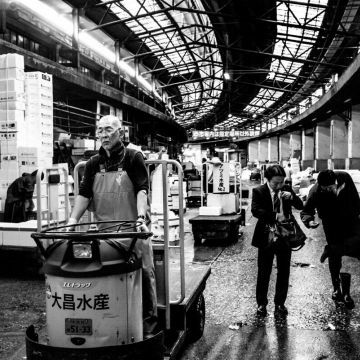 The market was built at the beginning of the XVII century, commissioned by the shongun Tokugawa Ieyasu. 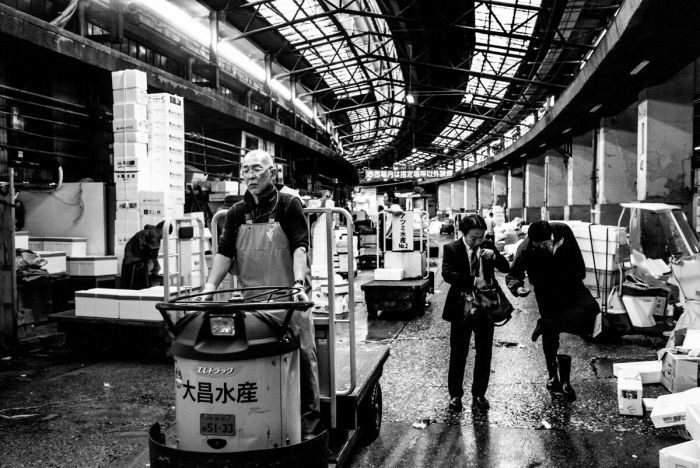 In the Japanese history and art, this amazing fish market is often the subject of polychrome prints “ukiyoe”; Tsukiji is also considered the icon of the urban society, symbol of the working class and representation of prosperity. 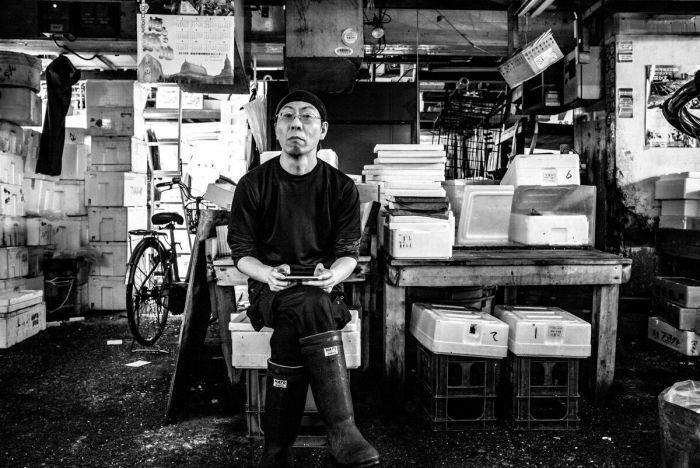 It also became indicator of the commercial dynamism in the context of the fish market and frame of the eating habits of Japanese people. 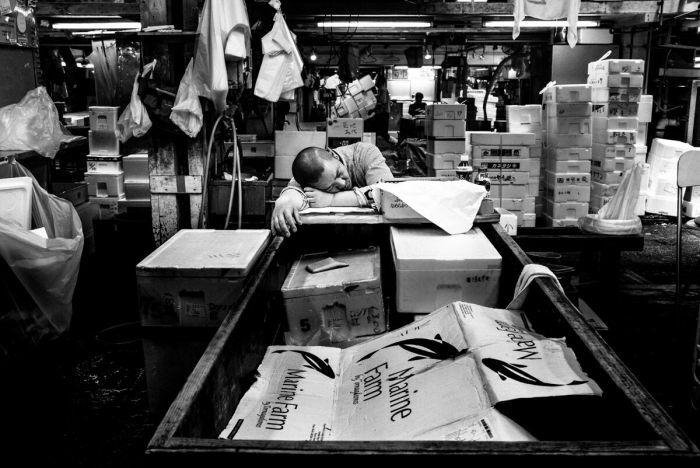 In more than two years of work and researches, Nicola Tanzini chose to highlight a less known side of Tsukiji: the moment of the day when the workers get ready to close the market, when they finally stop doing their tasks and can take a break from their job, started before sunrise. The whole reportage by Tanzini is enclosed in its namesake book (Contrast - page 200; over 130 pictures in Italian, English, French and Japanese cured by Benedetta Donato), divided into eight sections corresponding to the different phases spotted by the curator, from the depopulation of the market to the cleaning operations, from the portraits of the sellers’ work to their moments of relax. 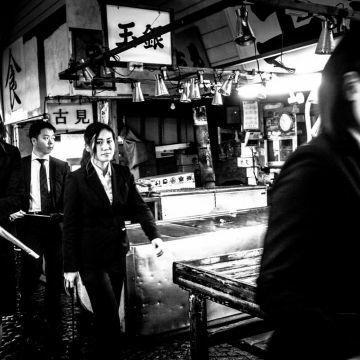 The exhibition in Genoa links photographic prints, which depict important parts of the Japanese culture and tradition, to the permanent collection of the Museum of Oriental Art, considered the main one in Italy and one of the most important in Europe. Through this point of view, visual arts and plastic arts, belonging to different periods of time, collide and melt into a continuum, underlining the dedication of the Museum in the work of enhancement of traditions from the past and from the present.